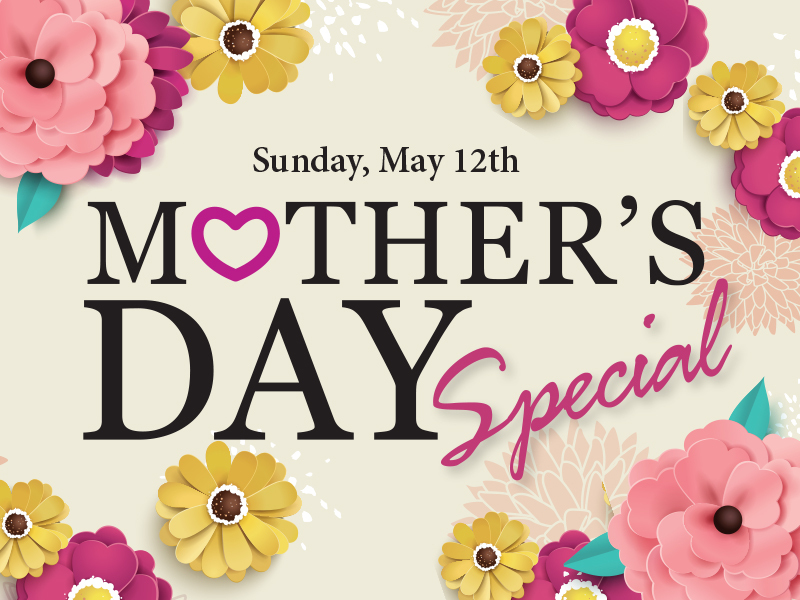 Take Mom out to lunch or dinner on her day! Fresh mozzarella, heirloom tomatoes and shaved red onions tossed in an Elderberry vinaigrette. Garlic Alfredo, Fennel Pesto or Cabernet Marinara served with garlic toast points and freshly shredded Parmesan cheese. Freshly baked brownie infused with the essence of chocolatey Porter ale, crowned with sweet strawberries and drizzled with Balsamic reduction. Spinach, arugula, feta cheese, candied pecans, dried cranberries, finished with poppy seed dressing. 10oz. breaded pork chop with creamy marsala sauce, 3 garlic butter jumbo prawns, served with creamy risotto and asparagus. Vanilla pana cotta with fresh berries.